The iPhone SE is a beautiful 4-inch smartphone that has been recently added to Apple’s smartphone lineup. The Apple iPhone SE retains the very popular design of iPhone 5/5s, but, features more powerful and up to date hardware. 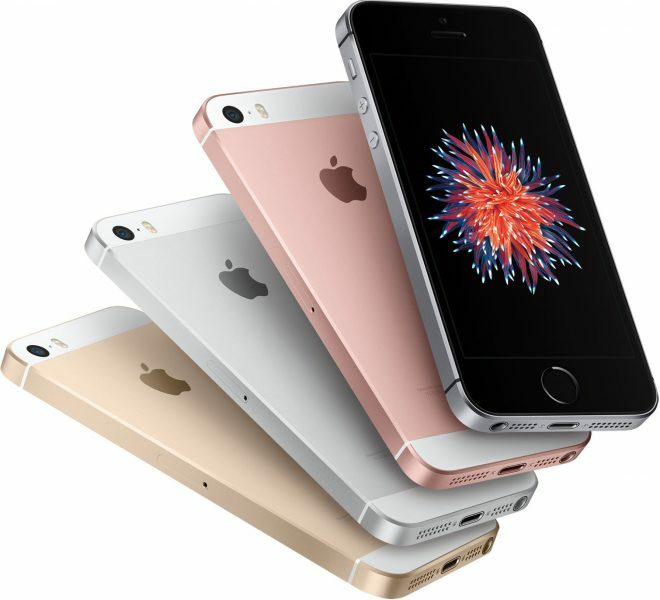 The Apple iPhone SE is available in 4 attractive colors: Silver, Gold, Space Gray, Rose Gold and prices start from $399. 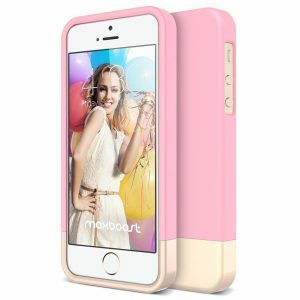 Listed below are the top 10 best Apple iPhone SE cases and covers. 1. 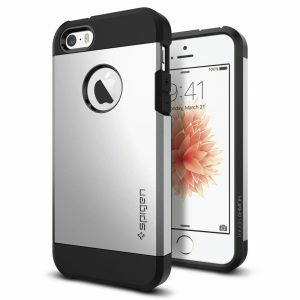 Spigen Tough Armor Apple iPhone SE Case: The Spigen Tough Armor Apple iPhone SE Case is an amazing combination of good looks and rugged protection. 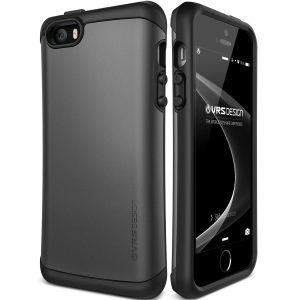 The case uses air cushion technology to protect the iPhone SE from drops, bumps and shocks. The Spigen Tough Armor Apple iPhone SE Case is available in 6 different colors to choose from. 2. Obliq Slim Meta Apple iPhone SE Case: The Obliq Slim Meta Apple iPhone SE Case is very stylish and perfectly compliments the iPhone SE. 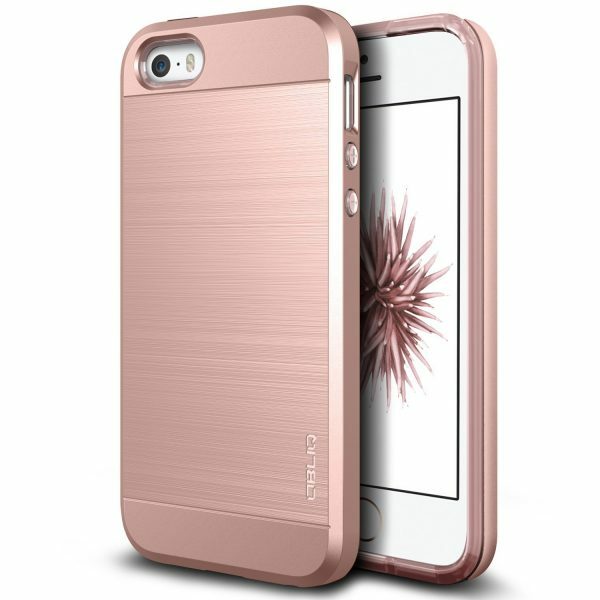 The case looks premium with its metallic brushed finish back and also provides adequate drop, shock protection to your smartphone. The Obliq Slim Meta Apple iPhone SE Case is available in 4 different colors. 3. Benuo Vintage Book Series 2 Apple iPhone SE Genuine Leather Folio Case Flip Cover: The uber stylish Benuo Apple iPhone SE Folio Case Flip Cover is handcrafted from premium genuine leather and features a card slot. The Benuo Vintage Book Series 2 Apple iPhone SE Genuine Leather Folio Case Flip Cover also serves as a built-in hands-free viewing stand and is available in 6 different colors. 4. VRS Design Thor Apple iPhone SE Case: The VRS Design Thor Apple iPhone SE Case is ultra-slim and offers a snug fit. The case provides 360-degree protection and meets military drop-test standards. The VRS Design Thor Apple iPhone SE Case is curved for a comfortable grip and is available in 4 colors. 5. Caseology Savoy Series Apple iPhone SE Case: The Caseology Savoy Series Apple iPhone SE Case looks luxurious and provides a slim fit. The soft touch matte finish on the back makes it a joy to hold your smartphone. 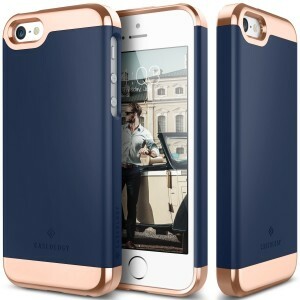 The Caseology Savoy Series Apple iPhone SE Case is available in 4 colors. 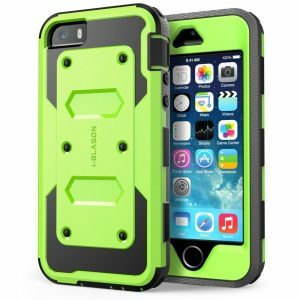 6. i-Blason Armorbox Apple iPhone SE Case: If you need a rugged holster case that offers heavy duty full-body protection, the i-Blason Armorbox Apple iPhone SE Case is your top choice. The case features a side mount belt clip swivel holster for your convenience. A built-in screen protector guards against scratches. 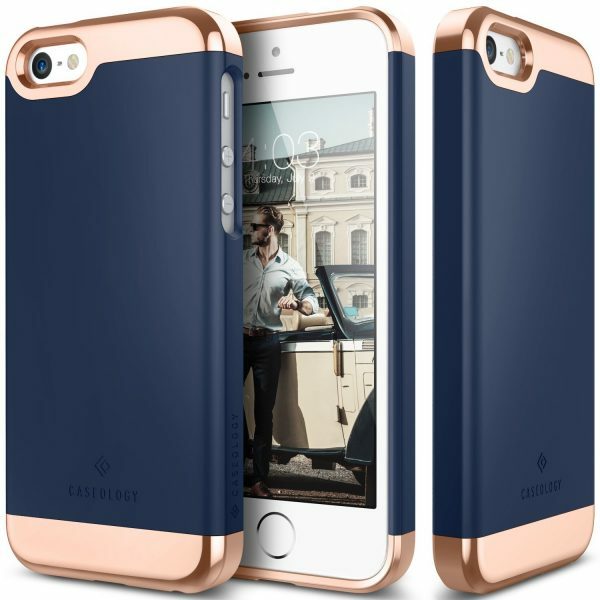 The i-Blason Armorbox Apple iPhone SE Case is available in 5 colors. 7. Speck Products CandyShell Grip Apple iPhone SE Case: Never ever drop your smartphone again with the amazingly grippy Speck Products CandyShell Grip Apple iPhone SE Case. The raised rubber ridges offer much needed grip to your iPhone SE. 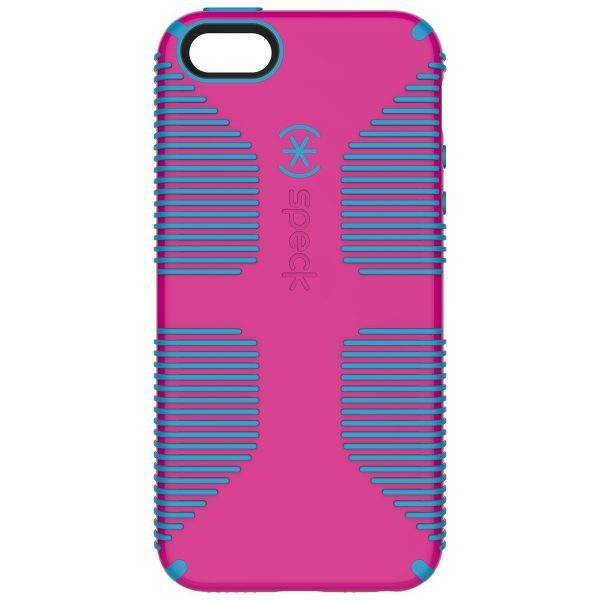 The Speck Products CandyShell Grip Apple iPhone SE Case is available in 6 different colors. 8. OtterBox Defender Series Case for Apple iPhone SE: If looks don’t matter much to you, and, smartphone protection is your top priority, the OtterBox Defender Series Case for Apple iPhone SE is the way to go. The OtterBox Defender Series Case for Apple iPhone SE offers top notch protection from drops, bumps, shocks and scratches with its triple-layer protection. The case also includes a belt clip holster that doubles as a kickstand. 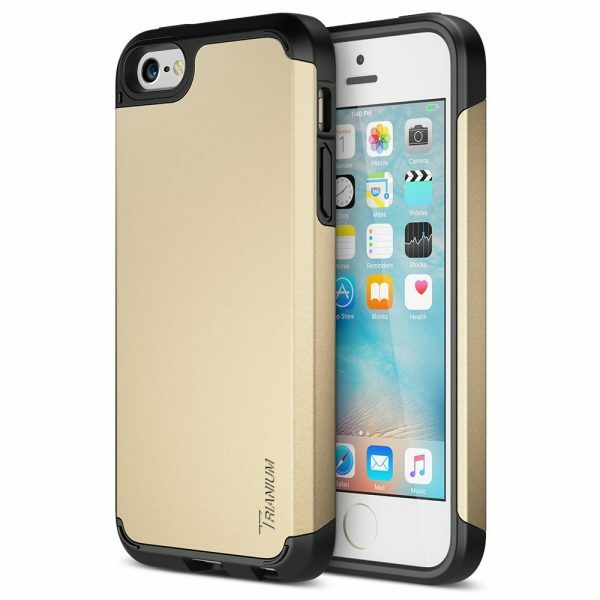 The OtterBox Defender Series Case for Apple iPhone SE is available in a lot of colors and designs to choose from. 9. 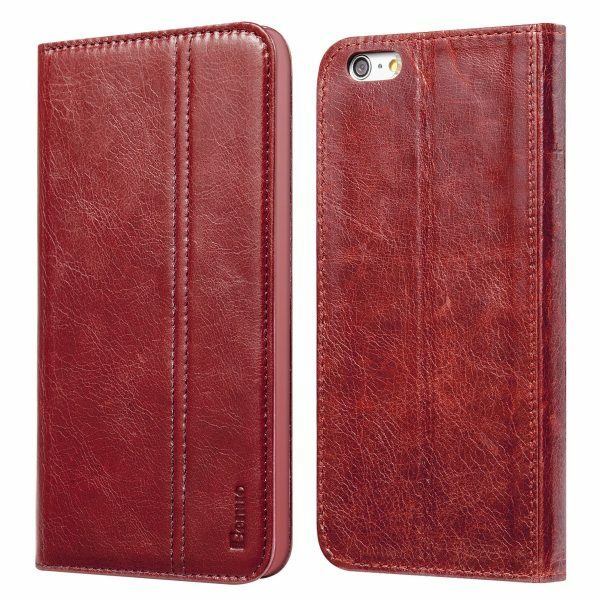 Snugg Apple iPhone SE Leather Wallet Case Cover: The Snugg Apple iPhone SE Leather Wallet Case Cover is made from premium PU leather and boasts impeccable fit and finish. This iPhone SE wallet case cover sports card slots and a built-in multi-angle stand. 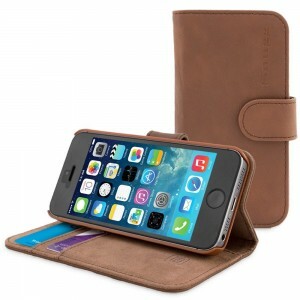 The Snugg Apple iPhone SE Leather Wallet Case Cover is available in 10 different colors. 10. 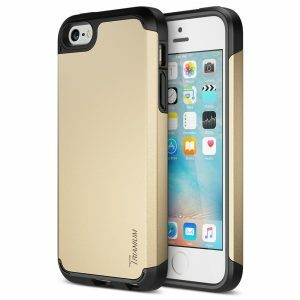 Trianium Protak Series Apple iPhone SE Case: The Trianium Protak Series Apple iPhone SE Case is a good looking smartphone case that is also slim and lightweight. 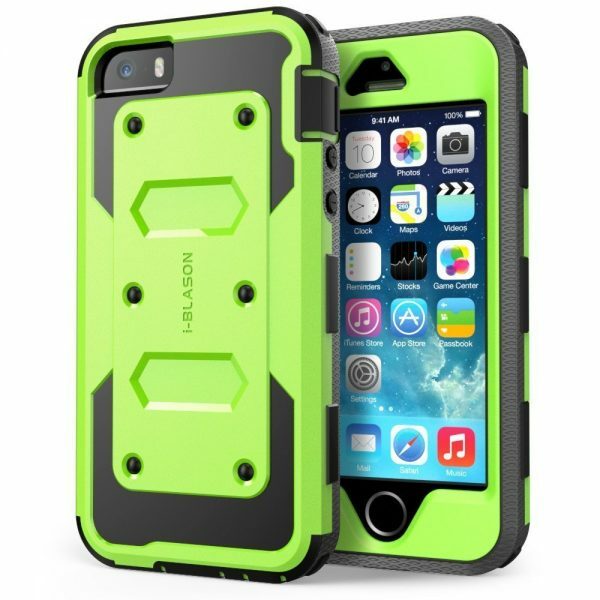 The case features shock absorbing bumpers for drop protection. The Trianium Protak Series Apple iPhone SE Case is available in 4 colors. 11. Maxboost Vibrance Series Apple iPhone SE Case: The Maxboost Vibrance Series Apple iPhone SE Case is very attractive and available in 6 vibrant colors. 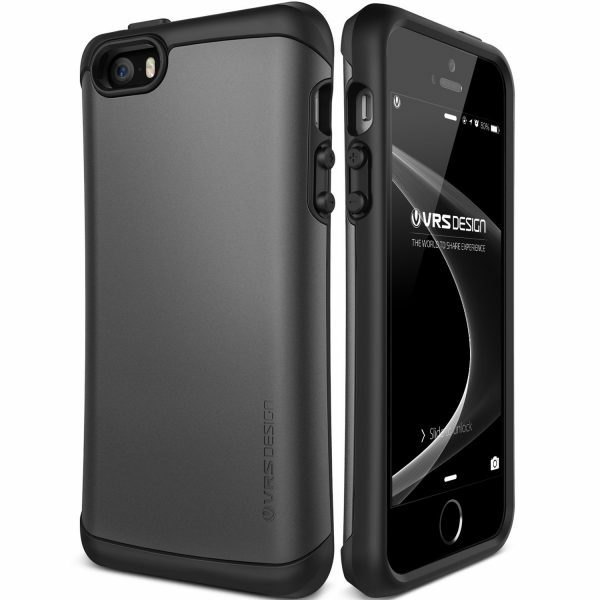 The Maxboost Vibrance Series Apple iPhone SE Case comes with a lifetime warranty. 12. Ringke Fusion Apple iPhone SE Case: The iPhone SE carries forward one of the best smartphone designs ever. The Ringke Fusion Apple iPhone SE Case lets you flaunt this very beautiful design without compromising on security and protection. 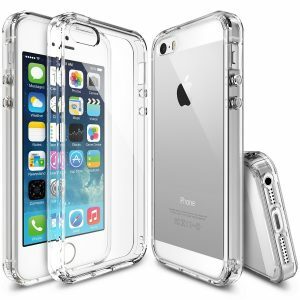 This clear case is scratch resistant and the shock absorbing bumpers guard against drops and bumps. The Ringke Fusion Apple iPhone SE Case is available in 6 different color bumpers. These are the top 10 best Apple iPhone SE cases and covers.